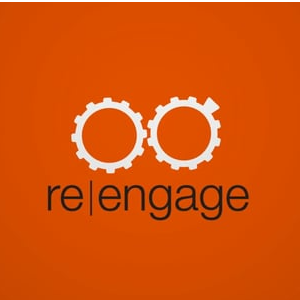 If your marriage is boring, bruised or broken, re|engage is for you. This class examines God’s design for marriage and applies principles from the Bible to guide couples towards growth in their relationship. You'll be placed in a small group with a facilitator couple to work through an empowering curriculum, and you’ll hear stories from other couples who have experienced victory when going through hard times. Give the gift of growth to your marriage and contact Lisa Jackson today. Have you experienced the loss of a loved one or know someone who has? You don’t have to go through the grieving process alone. GriefShare is a Christ-centered support group using video, discussion, and fellowship to help you find peace and hope as you walk through your grief. This ministry supports caregivers who are caring for a family member or friend. Please join us as we find strength and peace in the Lord and encourage each other in our journey of caregiving. For more information and meeting dates: Call (913) 754-5812 or Email Care Ministry. This is a Bible based support group offering life skills curriculum that helps children ages 4-12 deal with the stresses of living in today’s world. Skits, activities and discussion help them deal appropriately with their feelings and situations with confidence. For more information email Care Ministry. EXPERIENCING DIFFICULTIES? DO YOU NEED A STEPHEN MINISTER? One way God fulfills his promise of his comforting presence is by providing Stephen Ministers to walk along side those going through challenges such as job loss, illness, divorce, grief or other difficulty. Stephen Ministers (paired men to men or women to women) provide a caring, supportive, non-judgmental, confidential relationship that enables care receivers to share their burdens. Stephen Ministry brings the light of Christ into the darkness of people’s lives. Contact Heidi.Masters@clcop.org for more information. One of the most important tenets of this program is upholding and honoring confidentiality.